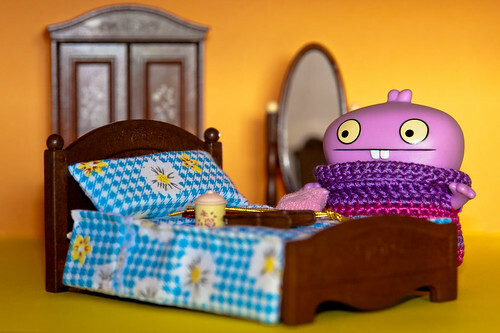 Uglyworld #1650 - BedTime For Babo, a photo by www.bazpics.com on Flickr. Babo is getting really excited at the prospect of moving into her new house in the next few days (assuming I can finish building and decorating it all with Mireille), but for now she's happy enough to spend her last few nights in her old bedroom. You all need to keep an eye out on Mireille's photostream for the first look at Babo's new apartment once it's all ready for her to move into.